We’ll be giving you a full tour of its metal-clad unibody and instant fingerprint sensor tech on video, alongside some samples from its 13MP shooter. 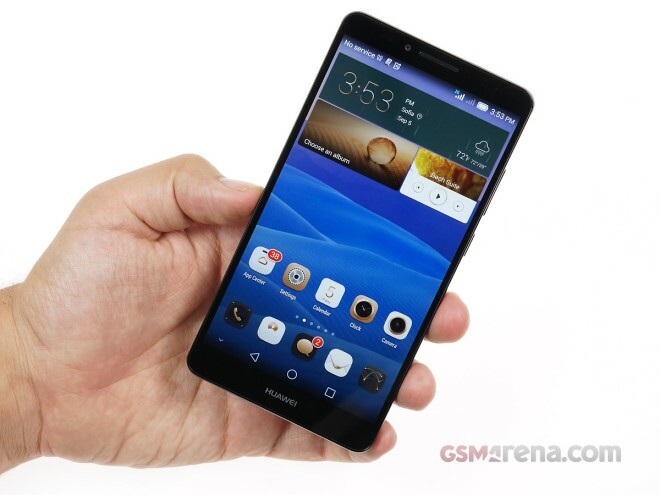 The Huawei Ascend Mate7 features a 6-inch IPS LCD display of 1080p resolution, covered in Gorilla Glass 3. While some may be disappointed by the lack of QHD resolution on a diagonal of this size, Huawei makes up for it by the very slim screen bezels, which means the display enjoys an impressive 83% of the front panel. Underneath is an octa-core Kirin 925 CPU complemented by 2GB of RAM and 16GB of expandable memory. There will also be a 3GB version with 32GB of storage. A 4,100mAh battery rounds out the specs. The 13MP primary shooter is a step up from Huawei’s original Ascend Mate, but unfortunately doesn’t provide 2160p video recording. Nevertheless, it provides some sharp colors with an adequate level of detail, which shows up even in the less than ideal shooting conditions. Here’s a closer look at the HDR mode, which greatly helps with the dynamic range. The camera has Auto HDR mode and it works really reliably. We’ll be putting the Huawei Ascend Mate7 through its paces with a full review, so be sure to check back with us soon!